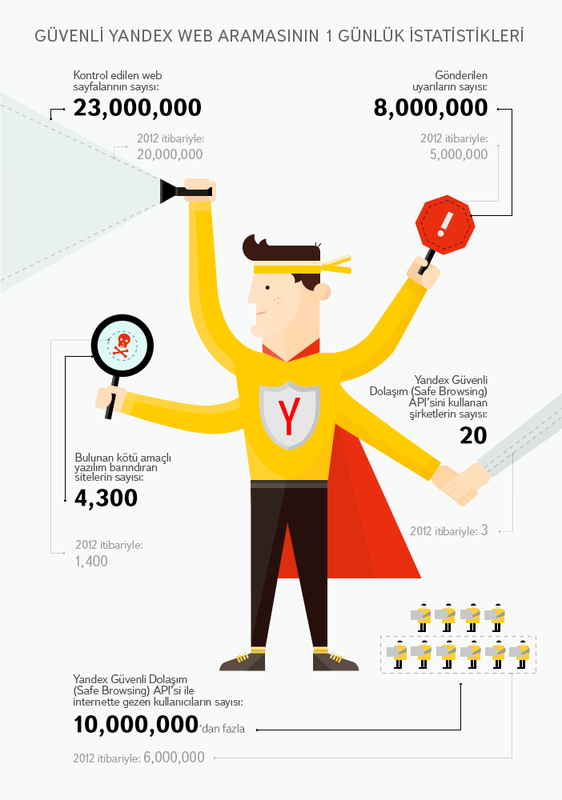 Yandex offers many products and solutions to protect its users from the dangers of the Internet. At the point where we arrive today, you can find the details of the security audit done by Yandex about one day so that the users can safely surf the internet. If you would like to browse the products developed by Yandex for security as a webmaster or web site owner here you can access APIs. Note: The statistics on the chart below are derived from Yandex's global data.